All GOEBEL high strength rivets undergo stringent quality testing in our own test centers to ensure that every batch produced meets the highest standards. 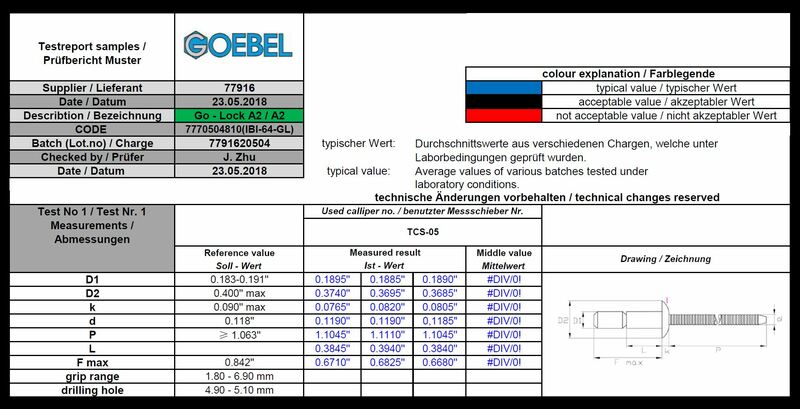 The tests are carried out by GOEBEL employees in compliance with ISO-14589, which is comparable to the IFI-135. 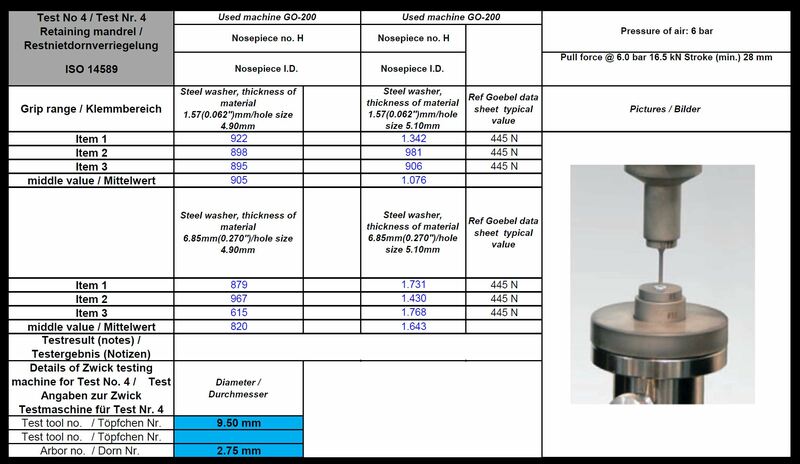 We can support you with test results for all batches of GOEBEL high strength rivets. 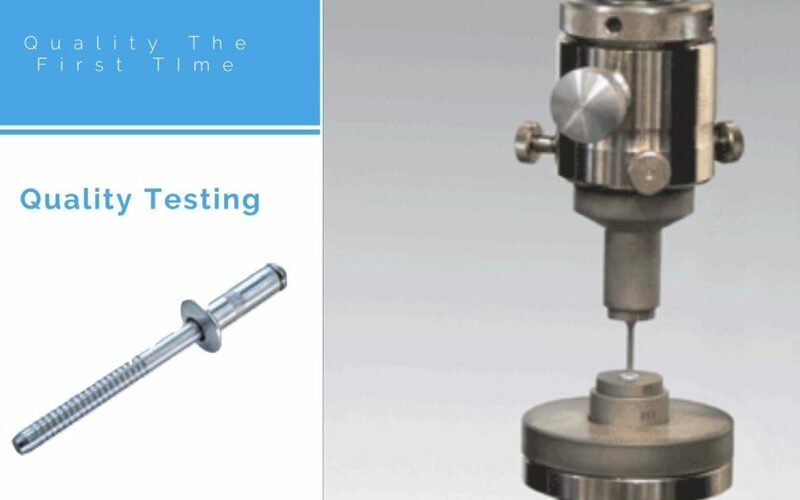 Shear and tensile tests: for this test we use a set blind rivet and apply increasing shear and tensile loads until the rivet reaches its breaking point. Mandrel push out resistance test (prior to setting): applying pressure to the mandrel from the head side of the blind rivet until it’s pushed out. Mandrel break load test: for this test we take the mandrel of the rivet and apply an increasing tensile load until we reach the breaking point. Head retention capability test: the test consists of axially applying a load from the head side of the set rivet until the head retention load is reached. 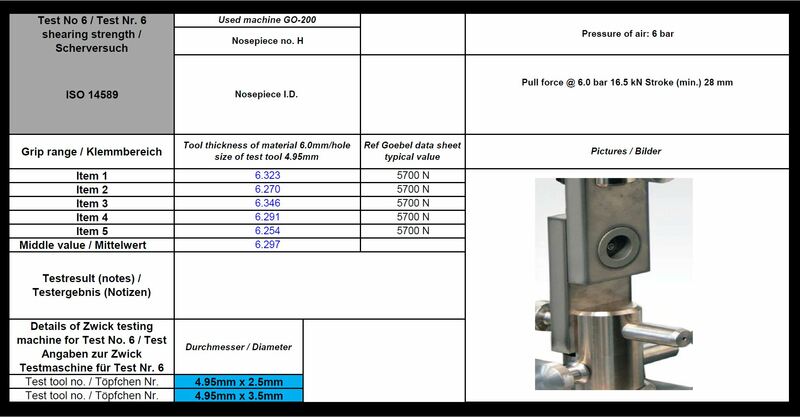 In a first step, we take look at the dimensions of the rivets and check that values for D1, D2, k, d, P, L, and F max are in line with specification. In a second step, we take 5 rivets out of every batch to ensure that the lower grip ranges are in fact within the specified figures. Once the lower grip range has been confirmed, the upper grip range limit is tested next.